Heya CS. Ive kept the design simple and classy. 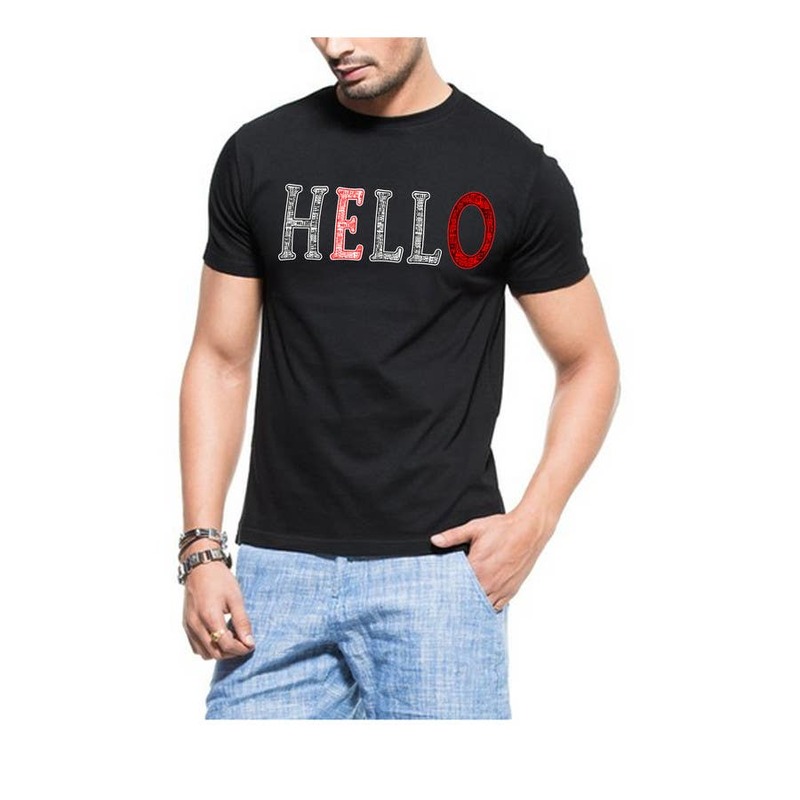 The word HELLO is created of a hundred odd hellos, bounded together in a double stroked outline. With 2 letters deviating from the norm to give a stark contrast which adds to the design. There are a maximum of three colours used (depending on the T-Shirt colour): White, Black and Red. Any feedback is welcomed and so are are requests for edits and such. Cheers.